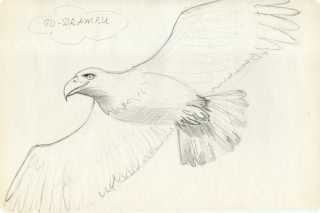 How to draw a eagle in the sky pencil step by step? 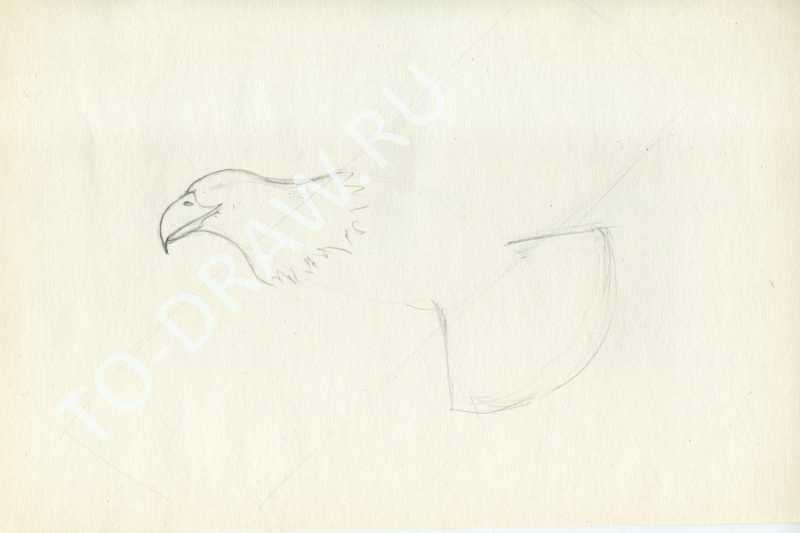 Today we will make a phased outline of a flying eagle. Resemble that of the birds we managed to draw the magpie with necklaces and crow in the hat. 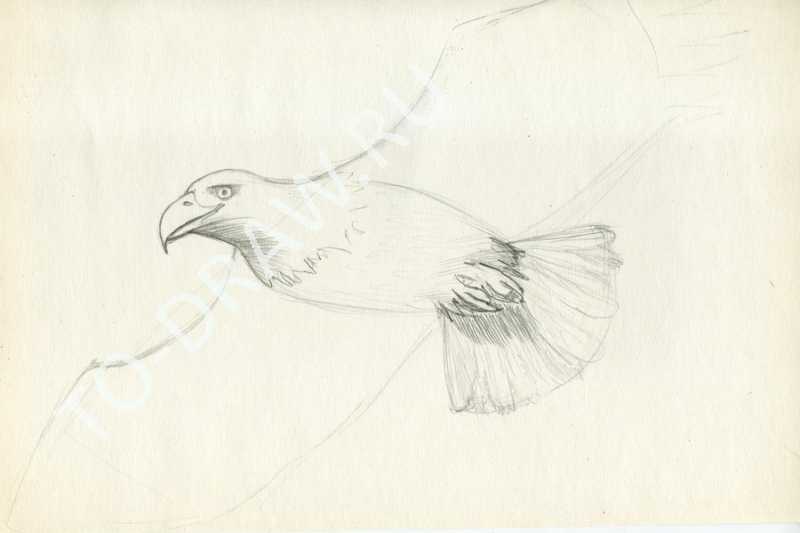 Look at the shape of the beak, head, wings and tail of birds. And let's begin! Draw a rectangle on the diagonal - wingspan. Almost in the middle of the disposable head. From the head of the oval body of our eagle. And then the tail fan. Note the shape of the beak in birds of prey beak curved and very beautiful form. Try to convey it in your sketch. 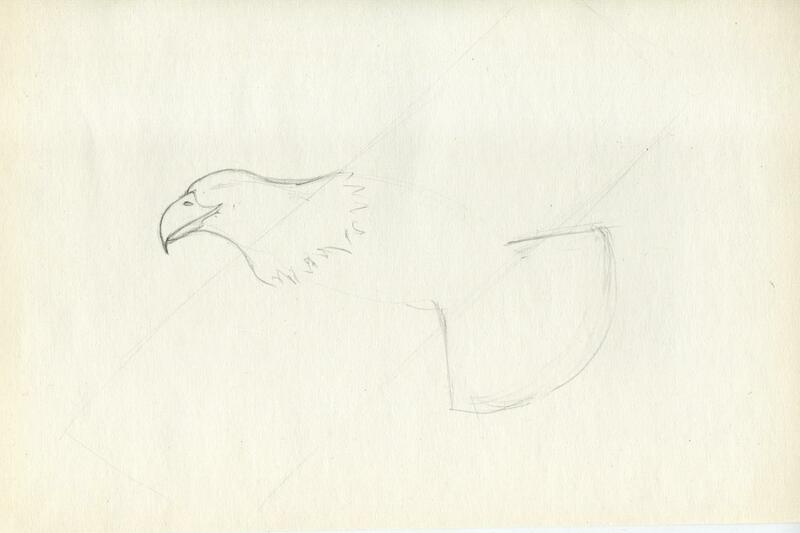 Draw auxiliary lines of the eagle. 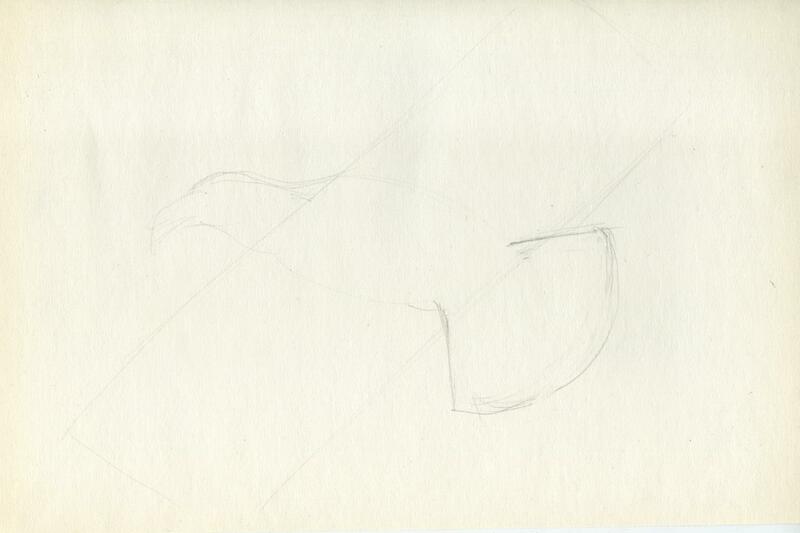 Next draw more clearly the head of a bird, the beak, the feathers on the chest. Again about the bill - let's see what we see only a thin line the bottom and the top hangs curved hook beak. Also look at how the beak attaches to the head is a smooth curved line. To more clearly draw gorowa and breast eagle. Proceed to the wings. They just prosohnut and therefore the top edge (towards the head) has a bend. The lower - spreads like a fan of feathers. The proposed fan of Peru on the tail. Draw a line Krylov and tail. Eyes round with an overhanging brow, which creates dense shade. Deep shadow on the neck and under the tail. When flying birds stretch their legs along the tail. 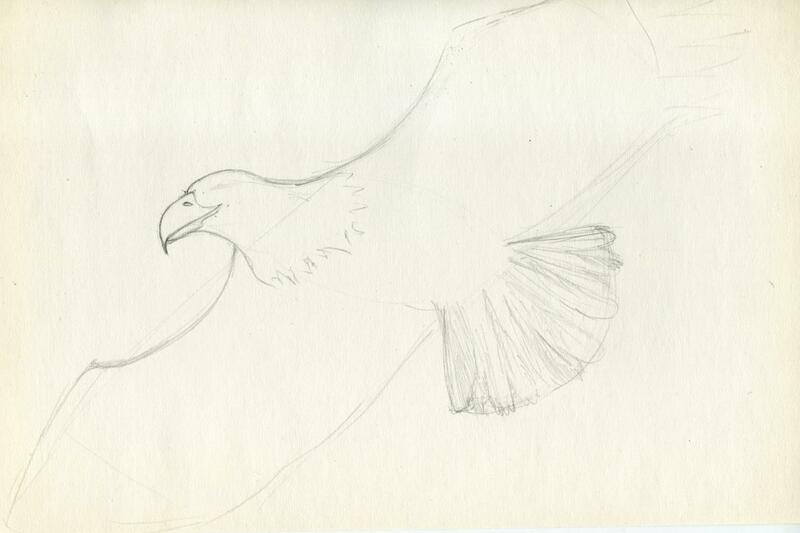 Try to draw them - the eagle legs are very powerful. Place the shade on the belly of the eagle and sketch a fan of feathers on the wings. 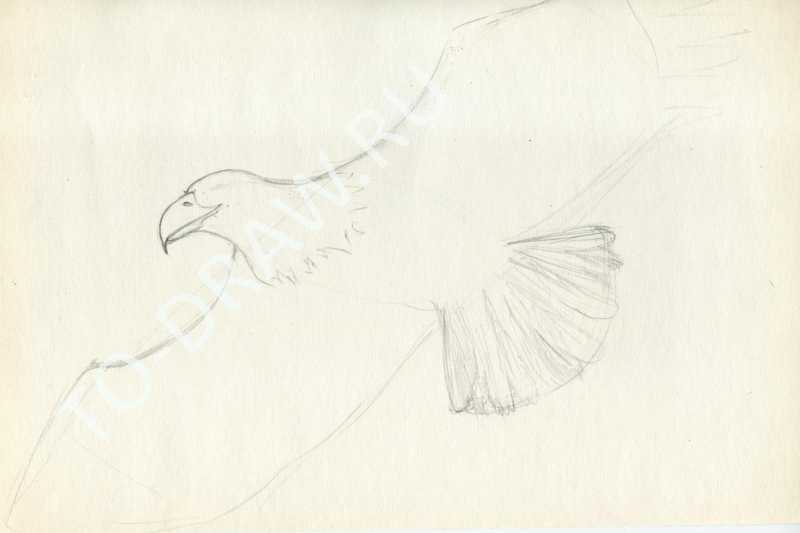 Add shadow and draw the feathers.